Take the dark deliciousness of Liga No 9 on the go with the compact 4 x 32 Coronet cigarillos. 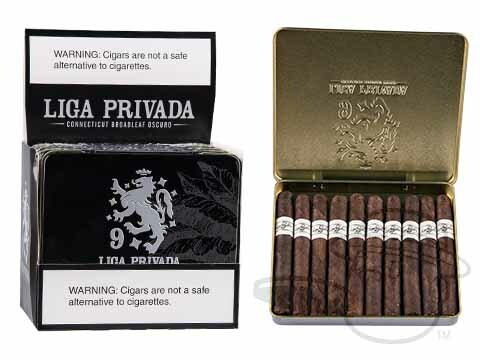 Liga Privada cigars by Drew Estate are full-bodied Nicaraguan smokes that feature dark wrappers, sturdy binders, and spicy filler tobaccos. The No. 9 blend features a Connecticut Broadleaf Maduro wrapper, Brazilian binder, and filler from the Dominican Republic and Honduras. Expect a sweet, strong, earthy, and meaty smoke that'll leave you looking for the next one.